Double rinse kale and remove stems. Cut into fine ribbons and add to a large mixing bowl. In a small mixing bowl add roasted garlic, dijon mustard, and mayonnaise. Using a fork, mash roasted garlic until well combined. While whisking, slowly stream olive oil into the bowl. Add lemon juice, Worcestershire sauce, vinegar, and Parmesan cheese. Add kosher salt and freshly ground black pepper to taste. 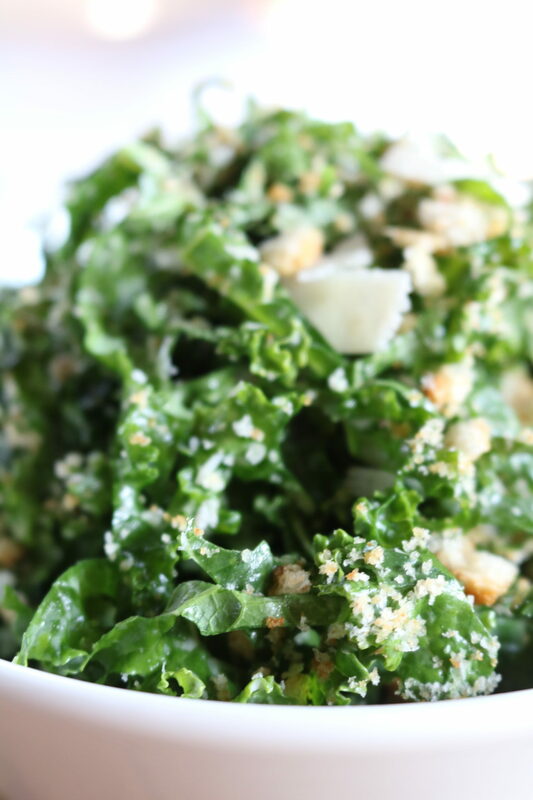 Pour dressing over the kale a 1/4 cup at a time and toss with tongs until you have the desired amount of dressing you prefer. Allow salad to sit refrigerated for 15 minutes. 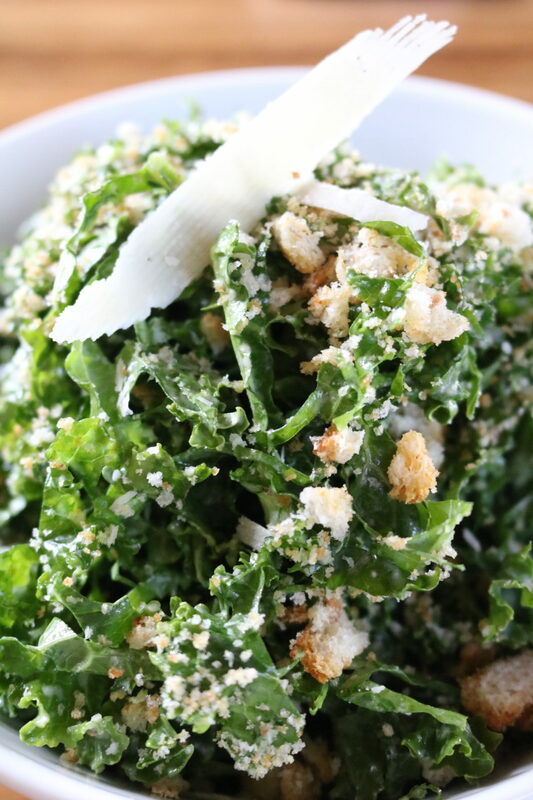 The acidity in the dressing will help make the kale more tender. 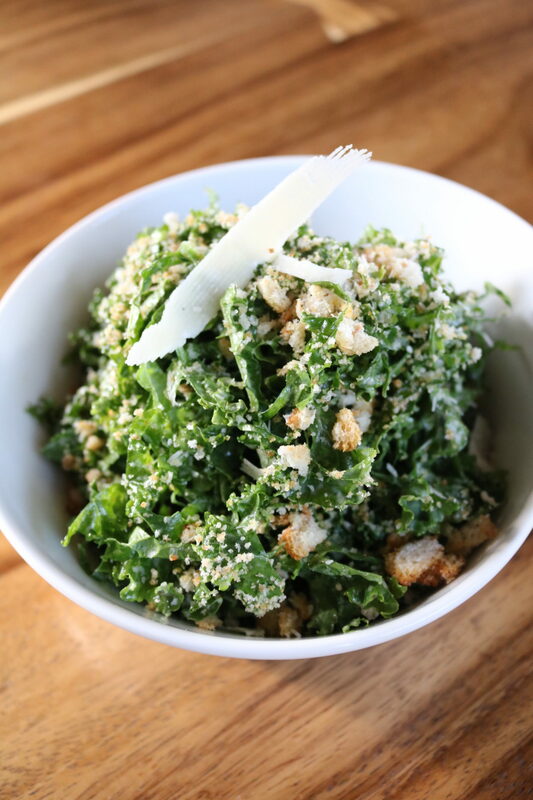 Meanwhile, add your croutons to a plastic sandwich bag and use meat tenderizer to create crouton crumbs. 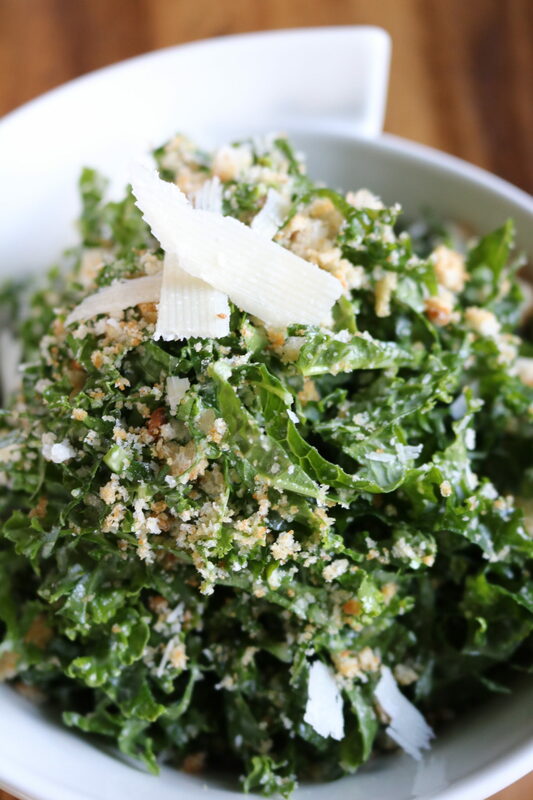 Shred the Parmesan cheese. 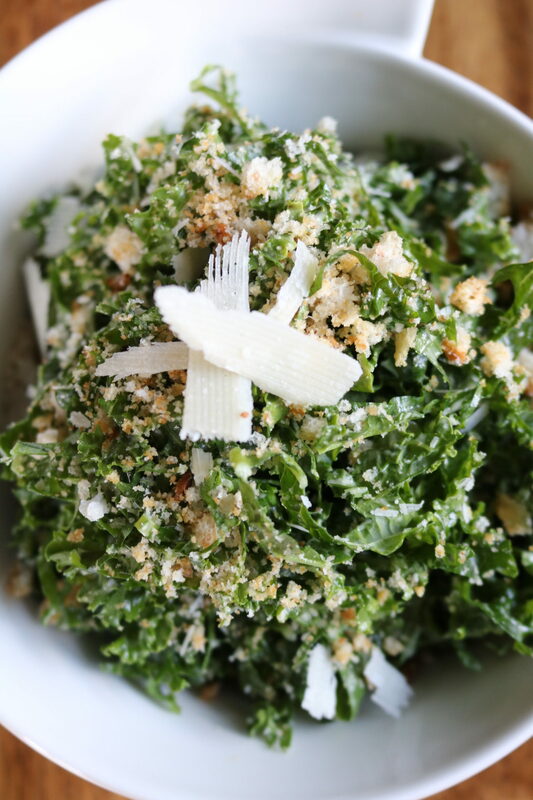 Remove salad from fridge and garnish with crouton crumbs and Parmesan cheese. Enjoy!